Behind the scenes in a giant hospital, she discovered that medicine and men could be an explosive combination. 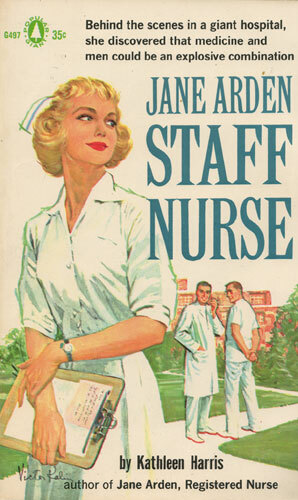 As staff nurse in a fast-paced university hospital, Jane Arden was sure her new job would leave her no time for men. She was also sure she’d never forget the man she’d loved all her life, and had lost in a tragic plane accident. But then she learned that time has a way of healing all wounds…and a new love a way of replacing the old.